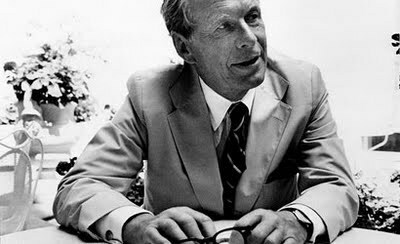 After trying his hand at being a chef in France, living amongst the Amish in the US and selling cooking stoves door-to-door in the UK, at the age of 38 Ogilvy decided he wanted to break into the world of advertising in North America, and founded the New York-based ad agency Hewitt, Ogilvy, Benson & Mather. As a marketing executive and copywriter, he crafted taglines and campaigns which introduced once lesser-known brands to wider markets; defining for an age the likes of Rolls Royce, Dove, Shell, Schweppes, Sears, General Foods, and American Express. His lengthy marketing campaign for the island of Puerto Rico challenged the American public’s perception of an entire territory, and transformed it from a place of shanties and sandy beaches to flourishing factories and industry. For all intents and purposes, he was Don Draper in the flesh. Ogilvy accomplished these renowned advertising feats by following what I’ve come to believe is an absurdly simple set of marketing rules; rules which often seem to evade modern-day copywriters and have made me feel like I spend too much time overthinking everything instead of just writing. I recently read a blog on Copyblogger detailing some of Ogilvy’s thoughts on various aspects of the industry, and what we could learn from his experiences as an ad man in the sixties and seventies. I was initially sceptical that anything this guy said would be applicable, considering the advancements in the advertising and technology industries in the last few decades. But, after doing a little research of my own, I’m pretty convinced that a lot of the advice Ogilvy had to offer potentially holds more merit than the tips being handed out by so-called modern “experts”. Needless to say, I felt rather inspired, and so I decided to compile a list of some of my personal favourite Ogilvy quotes – namely ones which I felt could be especially useful to copywriters. This little nugget of advice is a helpful reminder that you have to hone your creativity, pin down you’re your ideas and make sure they don’t run away with you quite too much if you want to keep them relevant to whatever it is you’re selling. It really is no good having a boatload of awesome ideas if you can’t viably apply them, so make sure you stay realistic before you get attached to a particular idea or piece of information and find yourself putting too much effort into rationalising its inclusion. Research is probably the most enjoyable part of the writing process; amalgamating your ideas and cool bits of information you’ve found and really getting absorbed in the subject you’re looking into. However, you still have to actually write about this stuff – so don’t procrastinate or build up the “moment of truth” (putting pen to paper) too much, or else you’ll only end up psyching yourself out and making actually writing anything ten times more difficult than it needs to be. Proofreading and reflecting are so very, very important, and yet are still two fundamental parts of the copywriting process which many fail to duly acknowledge. Even though we have Word’s spelling and grammar checkers – luxuries that the ad men of the sixties had to do without – it’s more imperative than ever not to underestimate the value of having someone else manually read through your work to point out any technical errors, or areas for improvement. People are hawk-eyed these days, and even just a few tiny spelling mistakes or convoluted sentences could call a brand’s credibility into question. These two quotes refer to something stupidly simple that I often forget whilst writing: write to communicate with the audience. It’s easy to get so caught up in using language you wouldn’t ordinarily use in day-to-day conversation when you’re writing about some client’s brand new program management software – but this kind of elevated jargon rarely connects with the audience, and could even alienate them. Reading is an intimate experience. Even if you’re reading a poster on the wall of a train carriage that dozens of other people might be glancing at, too; your perception of what you’re reading and how you understand it is entirely unique to you. It therefore doesn’t make sense to write your copy in an abstract or impersonal way; it just won’t resonate with the reader in the same way as a direct tone. It’s no good writing and posting an amazing blog if no one reads it, which is why grabbing people’s attention with a good headline or title is so important. Your title or headline shouldn’t be just treated as a necessary evil; something you need to include because the rules of the game dictate it. A lot of thought and consideration needs to go into how your title can inspire the reader to click; otherwise the hard work you’ve put into writing your blog is just wasteful. Be wary of using something misleading to get someone to click, though (i.e. shoehorning-in a celebrity’s name when your blog only mentions them in one sentence), because when they do start to read your blog and see how irrelevant it is to the title, they’ll click off in annoyance and probably not bother seeing what else you have to offer. Make your title easy to digest and intriguing, and you’ll reap the benefits. Find out more about our Content, Outreach & Social Engagement services.